Plans to impose visa restrictions on Brazilian tourists have been put on hold by Home Secretary Theresa May. Like US, Canadian or Australian citizens, Brazilians can visit the UK for up to six months without a visa. 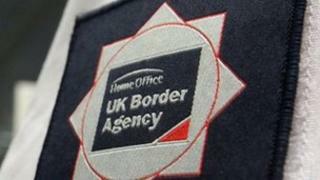 The home secretary was considering introducing restrictions amid concerns about illegal immigration from Brazil. But Mrs May has shelved the plan following protests about its impact on efforts to boost business links with the country. Brazil is fifth in the top 10 of illegal immigrant nationalities in the UK, according to Home Office figures for 2011, and is the only country on the list for which short-term visitors do not need a visa. But the government is attempting to develop closer trading links with Brazil - seen as an emerging economic powerhouse. A government spokesperson said: "Brazil is an important partner for the UK and we are investing greatly in our diplomatic and economic ties. "We have no current plans to impose a visa regime on Brazil." Prime Minister David Cameron confirmed the decision to keep visa-free access for Brazilian tourists at Prime Minister's Questions, after a Lib Dem MP, John Thurso, warned imposing restrictions could harm the tourist trade. Mr Cameron told MPs: "The National Security Council met recently to consider some of these border issues and it has decided not to put these visas on to Brazilian nationals. "We want to work with the Brazilians to enhance border security." He also hinted that Chinese tourists could face less stringent checks in future, telling MPs the government was "looking at a number of steps to make sure we attract tourists from the fastest growing economies, including China and elsewhere." Brazil is the only one of the four so-called fast-growing BRIC nations - which also includes Russia, India and China - to have no visa restrictions for short visits to the UK. The Home Office said this was a "long standing" agreement - but stressed Brazilian nationals entering the UK for other purposes, such as work or study, must ensure that they have the appropriate visa. Conservative MP Robert Halfon, chairman of the all-party group on Brazil, welcomed the government's decision. "I am delighted it is not going to happen because Brazil is one of the most important nations on earth and we have to build as close relations with them as possible." Such a move would have "given out a signal to Brazilian business" that the UK was closed for business and would have been a "retrograde" step, he added. Mr Halfon lobbied the government to scrap its planned visa restrictions, pointing out, in a letter to the Financial Times, that Brazilian tourists spent £302m in the UK in 2011, 25% more than spent by Chinese visitors, who must apply for visitor visas. But campaign group Migration Watch said the government's decision appeared to have been taken for "all the wrong reasons". "Three years ago there was significant abuse from Brazilians who were coming here for short stays, or as visitors, and staying on," Migration Watch vice-chairman Alp Mehmet told the BBC. "Serious consideration was given at that time to visas, and I assume the situation has not changed." He said Mr Halfon was "simply wrong" to suggest it would send out the wrong signal to business. "It doesn't send out any sort of signal at all. The number of business visas from all over the world, including countries where there is a visa regime, has gone up." Mr Mehmet added: "Of course we want to make it as unproblematic as possible for people to come here and spend their money and have a good time." But the answer was to introduce simple, workable visas rather than continue to have no visas at all, he argued. In 2008, the then Labour government warned Brazil and 10 other countries they faced restrictions on short-term visas unless they took steps to improve passport checks and "significantly reduce" abuses. The following year, visas were introduced for visitors from South Africa, Venezuela, Bolivia, Lesotho and Swaziland. But Brazil, Namibia, Malaysia, Botswana, Trinidad and Tobago and Mauritius continued to enjoy visa-free access for short visits.